“Myocardial intelligence” and ability to survive Ischemia ! When myocytes are confronted with acute ischemia , they don’t always jitter . It expresses many behavioral pattern.The damage inflicted is variable as the molecular mechanism of ischemic tolerance appears to be a virtue ! This might make much revered time window of myocyte ischemia irrelevant .Each cell has got a unique capacity to survive or die . In chronic ischemia this myocyte intelligence and intention to survive is glaringly evident. How about this phenomenon in ACS ? Why some cells die instantly , some fully recover and few go for hibernation and others are just stunned . While apoptosis is programmed cell death with intact cell membrane , hibernation can be termed as programmed cell survival .We don’t know how many intermediate forms of cell surviving mechanisms exists. One of the famous questions is does the myocyte need blood or fuel for survival* ? It is a fine balance of various cell surviving (Anti ) mechanism.How energy is utilised with available ATP molecules is a different science altogether .It’s possible like brain, heart too has myocardial intelligence , which does some independent thinking aided by fuzzy logic and problem solving algorithms built within. While we slog with metals inside the large coronary arteries , the response of the micro vascular territory is at the mercy of God . mRNA instructed DNA codes determine acute mitochondrial respiratory sensitization.Finally ,the successful reversal of ischemic injury depends upon the cell repair molecule’s crisis management skills ! How else one can explain , some broken hearts recover so well from a major ischemic injury others sink with first insult ! The concepts of pre and post ischemic conditioning are related phenomenon which can be pharmacologically mimicked .They are the major areas of research in myocyte revascularisation. What is written above is pure non academic fantasy . Now, read the following article by Dr Kloner which describe the molecular mechanism of ischemia modification and its impact on clinical cardiology. Why pleural effusion is more common on right side in cardiac failure ? We know pleural effusion (hydrothorax) is disproportionately more common on right side in cardiac failure.Though its a well observed phenomenon, the mechanism of which has not been clear to us. It could be due to multiple anatomical , physiological factors. A meticulous paper written some 75 years ago (1946) from Harvard medical school teach us some important points in this phenomenon. There is still lot, to be understood about pleural effusion in cardiac failure. We need to know why some pleural effusions tend to occur independent of hydrostatic forces. It is also noted long-standing transudative effusions can become true exudates. Role of local pleural capillary hypoxia resulting increasing permeability is underestimated.Hepatic congestion and trans-abdominal seepage of fluid is a distinct possibility. One more area we are not clear is the relationship between the genesis of pericardial effusion in cardiac failure and concomitant pleural effusion. Post operatively , after univentricular repair (as in Fontan ), pleural effusions can be much problematic with high venous pressure interfering with pleural drainage. Finally, even mild pleural effusion can increase the work of breathing and result in dyspnea which is out of proportion to cardiac dysfunction.While we expect the diurteics to clear the effusion of cardiac failure, it doesn’t happen always arguing for a non transudative mechanism in at least some of them. Discerned readers are advised to study the pleural space dynamics in detail. Right ventricle . . . more intelligent than Left ? The right ventricle is considered as a docile cardiac chamber with passive filling and emptying properties . This belief was reinforced when Fontan in early 1970s suggested a principle in the management of cyanotic heart disease when the right side of the heart is underdeveloped. He proved RV can be by-passed safely , with great veins (IVC/SVC) by themselves take care of filling the pulmonary circulation without the need of RV pumping function. While it is true for few complex cyanotic heart disease, largely this a misleading concept. In clinical cardiology practice ,sudden or non sudden RV deaths happen every day in the form of . . . Most cases dilated cardiomypathy the terminal event is due to RV failure. So , RV function can never be dispensable in day to day cardiac hemodynamics. 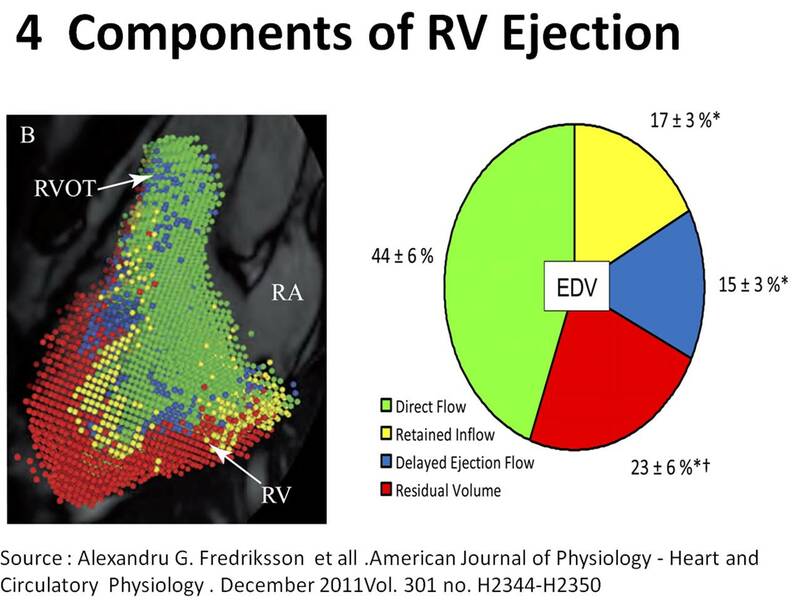 RV has some unique properties in terms of shape , size and hemodynamics . We are getting more insights from modern blood pool imaging by MRI , about how the RV handles the blood volume . 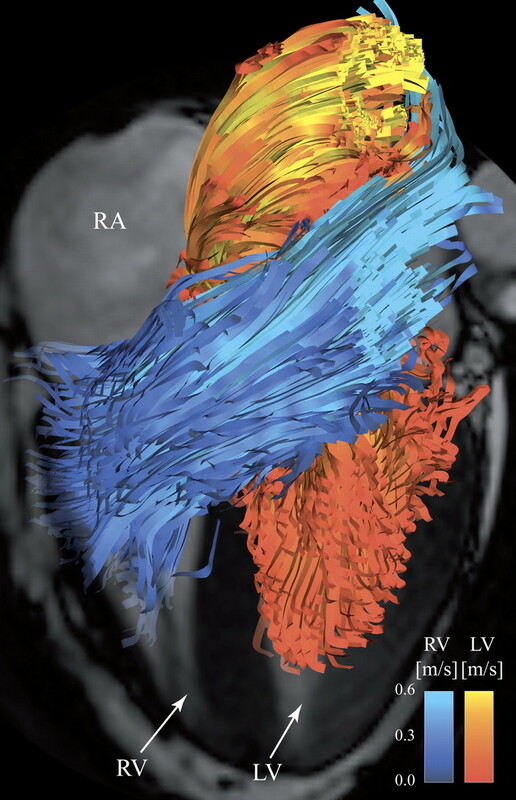 I stumbled upon this excellent work by Alexandru G. Fredriksson published in APS (American physiology society ) This MRI study have documented RV fucntion in a dramatic fashion. We know RV has a unique shape triangular ( partially pyramidal ) . It can be inferred the RV cavity is formed by fusion of many eccentric spacial planes. We have always believed RV handles the blood it receives from right atrium in a unique way .Now we are beginning to understand it .It is now documented the RV segregates the blood it receives into 4 components. It is curious to know RV inflow is connected to the outflow by an invisible physiologic Bridge . About 44% of blood traverse the RV in this fashion. After reading this article it seems to me , the mechanical function of RVOT could be most vital. If it fails to handle the first increment which comes directly from RV inflow, stasis is likely in RV body and apex , elevating RVEDP and later promoting stasis leading to clinical events. Differential dilatation RV chambers to pressure or volume overload is observed . RV apical clot in restrictive cardiomyopathy is a direct consequence of stasis of blood in RV apical zone . RVOT pacing may have a hemodynamic advantage over RV apical pacing . However , for anatomical reasons RV apical pacing is far safer than RVOT pacing where the lead is subjected to constant life long strain due to this busy RV inflow to outflow express high way ! Traditionally we have labeled RV as a passive venous chamber .It is clearly a misnomer.It has to handle both the venous and pumping function beat to beat with precision without back log .Obviously , RV has to think and work more than it’s big brother ! I wonder , if there is any other site other than APS . . . to find crucial answers in cardiac physiology ! There is huge gap between physiologists who work in research labs and the physicians at bed side . I appeal all young cardiologists to visit APS once in a while ,between your busy cath lab schedule and help narrow this gap. Without understanding the physiology properly how are we going to intervene the pathology ? ACE Inhibitors in CKD with CHF : Cardiologist proposes … Nephrologist disposes ! I used to tell my students ,the relationship between the heart and kidney is so close , it is never justified for the two departments of Nephrology and Cardiology are physically away by two blocks in our institute . Kidneys are vital to maintain the volume and pressure of body fluids and heart is responsible for keeping this fluid circulating. In clinical setting it is a well known secret ,most deaths in patients who are on dialysis is cardiac while most deaths in patients with CHF are renal. It remains a mystery why kidneys were ever considered as a circulatory organ , when our medical pundits de-compartmentalised human organ systems ! The Heart /Kidney affair is so intimate in many pathological situations both either succeed or fail simultaneous or sequentially. While CKD results in and pressure and volume overload of heart , cardiac failure cause pressure and volume under load (pre-renal factor) which worsen the renal function and aggravate cardiac function alter. In essence, it is vicious cycle of two serial organs performing the vital circulatory function with body fluids playing a role of diligent mediator.Whenever the kidney fails heart is stretched and stressed to its Frank starling limits by the volume as well as the accompanying HT load. While text books link these two organ as simple cardio-renal syndrome it is not happening at the level of patient’s bed side. Cardiologists and Nephrologists must realise they need do work in tandem like their respective departmental organs which accomplish this task easily ! I would recommend this concept to be infused right in the third year medical school and try de- compartmentelise clinical medicine. ACEI has been a major pharmacological revolution in controlling and reversing the adverse events of cardiac failure . Some where along , a significant fear complex arose regarding the damage it could cause to kidneys. Recently , we know the role of ACEI in CKD made U turn(Like what Beta blockers did to CHF) .Now, it is presumed ACEI are indeed safe in most CKD and may even regress CKD. Still this concept has not been fully disseminated into general physician domain. Let cardiologist and Nephrologist sit together and sort out this issue. I guess , ACEI controversy is a sort of ongoing ego clash between Nephrologist and Cardiologist . Both like it , both make fuss about it ! In my observation , if a cardiologist titrate it upwards Nephrologist would lower it and reverse happens if cardiologist express caution about it ! Do you agree ? To begin with , let us consider CKD and CHF as single sequential circulatory entity ! Let us vouch to create new generation medical professional devoid of skewed medical vision ! 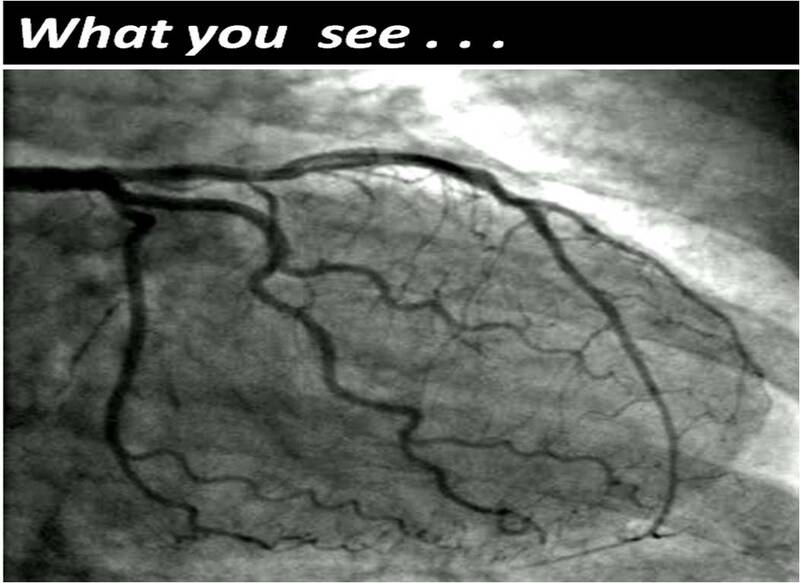 Why 90 % of cardiologists suffer from coronary blindness ? Note :This is a copy of my earlier blog on coronary micro-circulation published few years ago.Recently this got numerous hits .Hence I have just reposted it with slight modification. Human coronary circulation stands unique among others as it is a life-sustaining circulation.It is indeed a great medical achievement to visualise the right and left coronary artery system by coronary angiogram. Actually, what we see is only a fraction of the surface area of coronary circulation .The surface area of epicardial coronary arteries constitutes less than 5 % of entire coronary vascular tree . 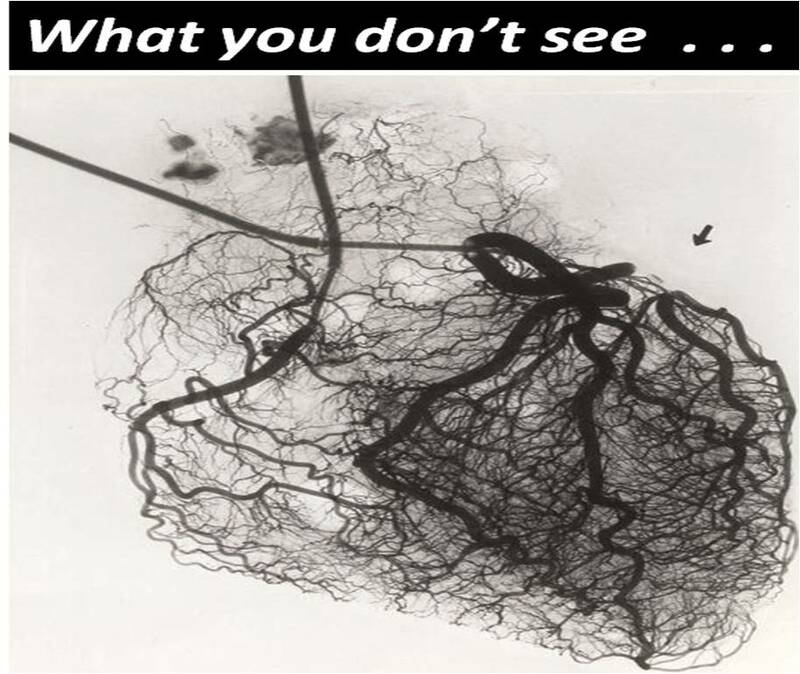 This is the reason normal coronary angiogram can never mean normal coronary circulation ! This huge gap in our perception is the single important factor that explains the vagaries of modern coronary care . This also make any clinical coronary scenario a reality . So , it is essentially a false sense of scientific accomplishment by the cardiac scientists at least in the of coronary circulatory physiology. What determines the extent of these invisible coronary micro circulation ? There are innumerable channels of micro vessels traversing across the heart, sharing , bridging , branching, penetrating and perfusing the muscle mass.They can be anatomically patent , physiologically non patent .They can be recruited by hemodynamic stress .These are never visualized by current imaging modalities..It is also influenzed by favorable growth milieu and hormonal and neural stimuli. What is the mechanism of primary VF following acute STEMI ? The quantum of coronary micro circulation is like the vast cerebral neuronal net work .We have every reasons to believe they are have unique genetic imprint.How else you can explain a man with full blown STEMI come 24 hours later comfortably to the OPD while another loses his life with a stormy primary VF before even boarding the ambulance ! Why many cardiologists do not give due credit the coronary collateral circulation ? Right from the days of Levine in 1970s( Who made a seminal contribution about coronary collateral) the utility value of coronary collateral circulation was never able to convince the cardiology professionals . It has been our traditional teaching ( without much evidence of course !) coronary collateral circulation is not effective to support blood flow during exercise . This fact has been disproved many times . Coronary collateral circulation was indeed useful in limiting damage in ACS and relieve symptoms in stable angina.It helps in reverse remodeling and provided electrical stabilty as well in post MI population. Still , the concept was alienated and made totally irrelevant in the interventional era . Many cardiologists found well-developed collateral’s as an interference to their expertise and ego since it has a potential to alter the indication of PCI.They continue to have strong scientific conviction (Pseudo ?) that man made collaterals must always been superior to God made collaterals ! Whenever some credible reports emerge about collateral circulation being equivalent to revascularisation procedure , these concepts were prematurely buried for some reason. In the last decade there was a concern about performing PCI in patients with well-developed collaterals .The argument was , they tend to develop early stent occlusion and restenosis . It was a genuine query raised by few thought leaders in the field as collateralised vessels suffer from low flow after PCI , if the pre -existing collateral continue to function. But then , few studies countered this , and PCI was shown to be safe and in fact may fare well in patients with extensive collaterals . Cardiac science in the current format, makes the future look bleak for coronary a collateral circulation .With early PCI becoming a norm we will never ever allow the natural collaterals to grow , and even the established collaterals will have to face a stiff fight for survival with sophisticated coronary interventions . While the basic scientists want to grow collaterals with angiogenesis , stem cells etc interventionists continue to indulge in rampant angioplasties which will suppress collateral growth. This implies we will struggle to establish the true importance of coronary collateral circulation . Can it be an effective form of revascularisation ? My personal inference is coronary collateral circulation “would and should” have a definite role in at- least some of the subsets with chronic coronary syndromes. If we think otherwise . . . it’s against the principle of natural biological science . A good collateral system with optimal medical management can save not only our patient’s lives but also their hard earned currencies ! Here is a rare article in European heart journal that discuses coronary collateral circulation . Let us welcome such wonderful reviews which keep the interest alive on the filed. Unfolding the secrets of Inter nodal pathways ! I am afraid the 4th response is closer to truth .Readers may share their thoughts. 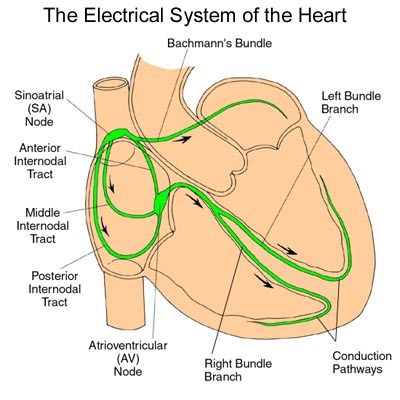 If there are three distinct pathways spreading widely connecting the two spacious chambers and converging again with precision at the compact AV node , it is a marvel . Further , If these pathways are real , we must experience different types of inter nodal re-entrant tachycardias.Of-course ,we do come across few macro re-entrant tachycardia in the form of atypical atrial flutters They need a close watch .Tracking these arrhythmia may throw light on existence of these pathways. However, the presence of nodal approaches with preferential inputs to AV node from different parts of atria would indeed suggest existence of such pathways ! What does sophisticated carto and other electro anatomic mapping say about these inter nodal pathways ? Heterogeneous three-dimensional anatomical and electrophysiological model of human atria . Seemann G, Höper C, Sachse FB, et al. Institute of Biomedical Engineering, University Karlsruhe (TH), Kaiserstrasse 12, 76128 Karlsruhe, Germany. Transact A Math Phys Eng Sci 2006 Jun 15; 364(1843) :1465-81. Enigmatic relation between LA blood volume and LV stroke volume ? LV stroke volume for each beat is about 70 ml . . . so where does the remaining 35ml come from ? Residual LV end systolic volume ? Mix of the two ? *In diastole the four PVs,LA and LV all act like one single chamber . Is this reasoning correct ?. Further , we know the LV end systolic volume is not constant .During exertion it can reach negligible levels (<10 ml) .At times of vigorous contractions it can touch near zero as well . Then , It become vital for the pulmonary venous reservoir to be act as a major donor for LV blood volume for every ensuing beat. 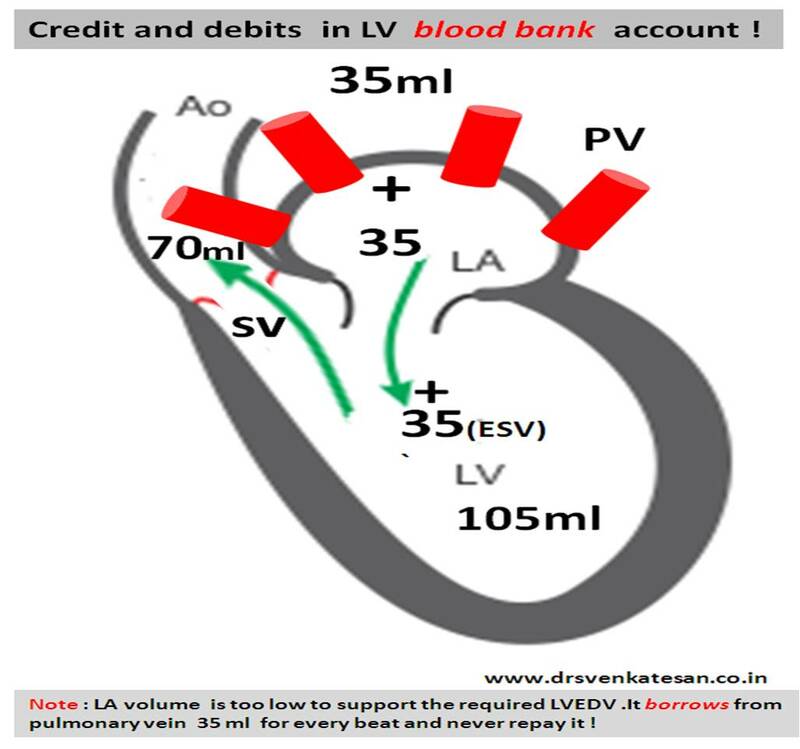 Debit and credits of LV end -diastolic volume . Let us assume LVEDV is about 1o5 ml .LA blood volume is roughly one third of LV volume .For every beat equal amounts of fresh blood from pulmonary vein . These two (LA+PV) adds to the residual blood in LV to make LVEDV 105 ml . From this 70 ml is ejected as stroke volume leaving behind 35 ml. LA Chamber volume and blood volume need not be same .What I struggle to understand is , total anatomical LA volume measures 35ml , while the amount of blood it is supposed to hold is also about the same .Does it mean the LA is completely filled with blood . . . air tight ! Will the LA compliance make it accommodate twice or thrice the blood volume during exercise ? What is quantum of residual end diastolic LA volume ?